Boating is more than a hobby… it’s a way of life. Whether you have a need for speed or enjoy a slow cruise around the lake, once you've experienced the boating lifestyle you’ll be hooked forever. 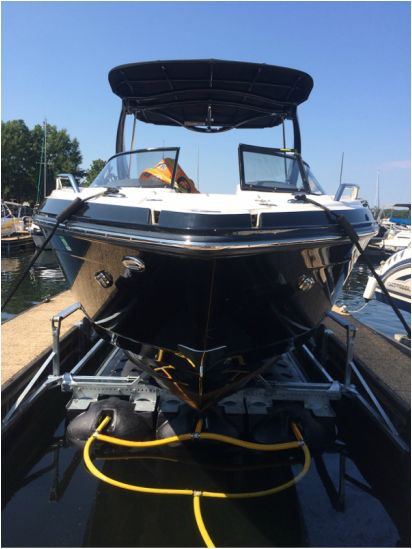 HydroHoist lifts provide Protection, Convenience and Security to your boat or personal watercraft. Our dedication to quality products and customer service has earned us the reputation as America’s #1 BoatLift™. We at HydroHoist are very proud of our history, our product, and our company, but our greatest pride is the satisfaction that HydroHoist owners have in their HydroHoists. Ask other HydroHoist owners, and they'll be glad to tell you about the low maintenance, dependable performance, and worry-free security their HydroHoists deliver. We invite you to ask them about the sale, installation and service experience they received from their HydroHoist Dealer. We're confident that you'll hear genuine acclaim for our dealers' professionalism, product knowledge, helpfulness, and promptness. Our dealers are simply the best in the boatlift business. "We offer hoists for all types of pleasure boats from small personal watercraft to 40,000 lb cruisers moored in virtually any type of boat dock, boat house, boat slip or pier." To correctly care for the boat, to provide a convenience for the boater, and to complement rather than complicate the dock structure was the aim of HydroHoist's inventor - a marina owner and boater himself - and it's still our aim today. Our engineering staff designs our lifts for safe, sure, confident operation; for correct and safe support of its craft; and for minimum effect to the boat dock or mooring environment. 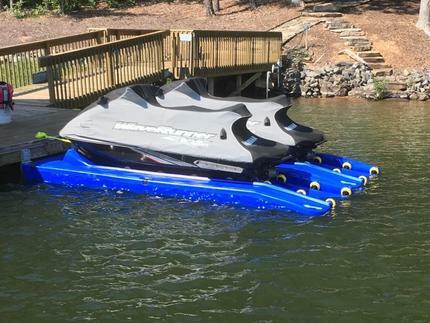 HydroHoist has redesigned our HydroPort platform once again to accommodate all of your PWC needs! Added features include an exclusive bow bumper that slows your craft's forward motion, a tapered entry that helps center your craft, and adjustable in-line rollers that make launching easy and convenient!